Lois is made of 100% high-quality wool and will keep you warm and stylish all year round. But not only that: thanks to the retro-reflective pattern applied on top of the fabric, this scarf will also make you more visible for surrounding traffic, just like the bags from The Cyclist do. Lois has a double layer of fabric with a pattern on one side and a single color on the other side. 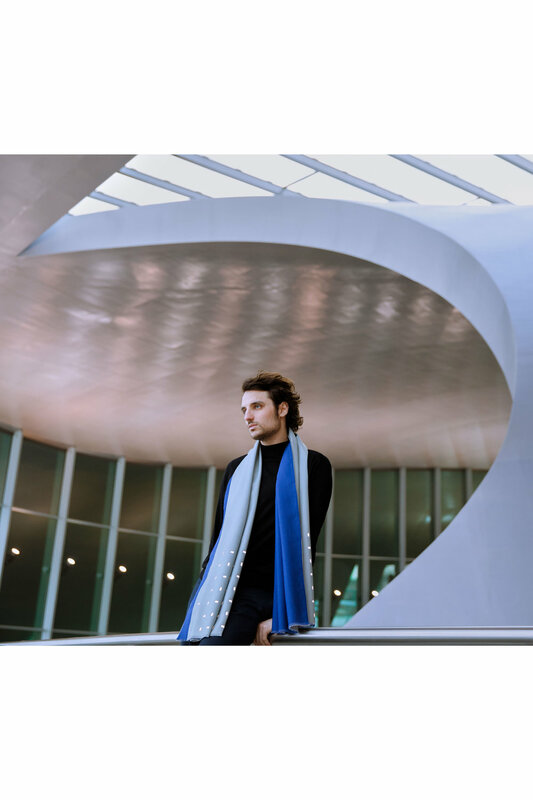 Not only does this make the scarf very warm and pleasing to wear, it also enables you to wear the scarf in various ways. Show off the beautiful retroreflective pattern on the front side or keep your outfit more sober by showing more of the backside of the scarf.